The country is administratively divided into Regions, Central Chile being only a natural division, it includes the Region Metropolitana where the capital Santiago is located, besides the southern part of Valparaiso, O'Higgins and Maule Regions. Although in theory the Northern portion of the Region of Bio Bio is included within Central Chile, most people associates it with the South, either because of its proximity, climatic reasons, customs and idiosyncrasy, so here I consider it separately as the Region of Bio Bio. This part of the country is characterized by abundant vegetation, large agricultural and wine production, (although there are fears that the slow advance of the desertification from the North could affect this condition in the coming years). 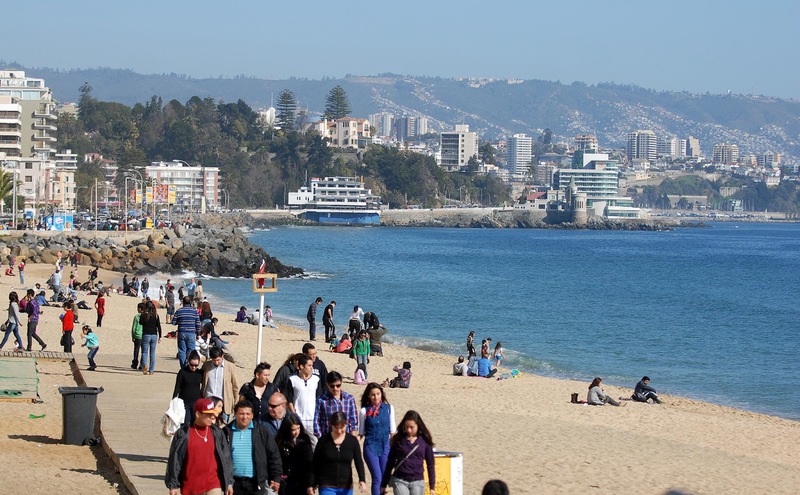 Central Chile concentrates most of the country's population and economic activity, with major cities, such as the port of Valparaiso which together with the neighboring communes of Viña del Mar, Concon, Quilpue and Villa Alemana make an important urban center of more than 1 million inhabitants. A little over 120 km. southeast of Valparaiso, near the foothills of the Andes is situated the capital Santiago, also known as Santiago de Chile, with a population of 6,000,000. Today, the Chilean capital is Latin American leader in many areas as those related to quality of life, environmental, personal and economic development, etc. 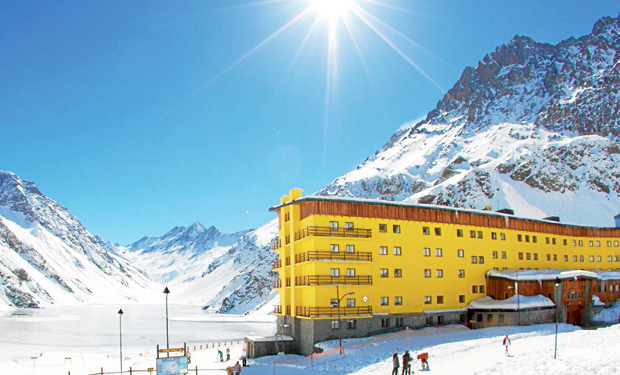 In the surroundings of Santiago major ski resorts and many other natural attractions make it one of the top tourist destinations in South America. Another important city in Chile, very close to Santiago (just 87 km. to the South) is Rancagua, capital of the Region of O' Higgins, place of great historical significance. Further south, always through Ruta 5 Sur (southern stretch of the Panamerican Highway), you reach the city of Talca, important urban center of the country, of about 220,000 inhabitants, capital of the Region of Maule, also with unique features that make it attractive, thanks to its privileged Andean landscapes, beaches and wine tours where vineyards of international reputation are visited. In a country where its main tourist attractions are concentrated in the North and South ends, it is also gratifying to find charming places near the capital city Santiago, which combine cozy Andean landscapes, city, countryside and sea views. Besides the already mentioned sites can be also highlighted the "playas del litoral central" (beaches of the central coast), the towns of San Felipe and Los Andes in the Aconcagua Valley, surrounded by towering mountains, with vineyards and fruit- growing area par excellence.